If you don't want to receive email notifications then you can stop this. Go into your profile and then click on preferences. There are lots of options for you to tick or untick. Have a look and you will see what I mean. 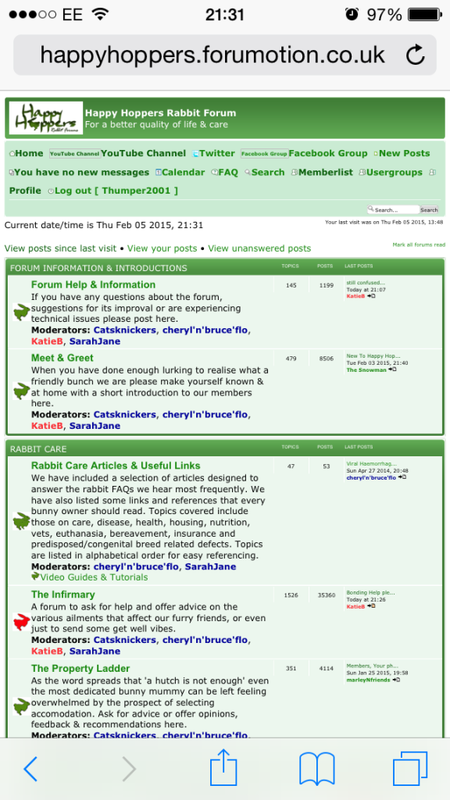 Because we are not a very big forum there are never hundreds of new posts between my visits. I don't tend to use the new posts option - I simply catch up on all the most recent threads. This is probably the simplest way to use the forum - does that make sense? Hmmm it is strange you are only seeing your answers on email. What I do is log onto Happy Hoppers (not doing it through the email link) and make sure i am in classic version. Then I click on the "new posts" if any of the posts I have made come up there since I last logged on then it means someone has replied and I go into the topic and see all the posts that have been added to my subject (or anyone elses). You can't really "chat" . You start a new thread, I reply in it, the next person replies in it, and then you reply in it. The best thing is to go into HH online and look and see if there have been any posts since you last logged on. I think you are doing very well though. The key to it is to always try and be in the classic version....the other one doesn't really work that well. Is this the page you see when you log into happy hoppers? » Onions have me so confused!